Ravencloud wrote: Ravencloud padded out at the sound of Deadstar's call and sat with the rest of the clan. Deadstar wrote: "Ravencloud, is it your wish to give up the name of warrior and go to join the elders?" called out Deadstar once the clan had gathered. "I call upon StarClan to give you many seasons of rest. Your clan thanks you for your service." finished Deadstar. "Ravencloud, Ravencloud, Ravencloud!" cheered Applefire for his former denmate. 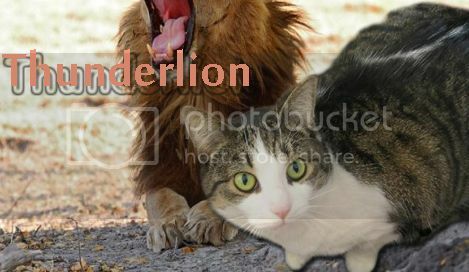 Thunderlion purred and licked at the four tiny kits at her side as they mewled and squealed for milk. As she touched her nose to each kit, she sent a silent thanks to StarClan for a healthy litter. Firepaw pulled a blackbird from the fresh-kill pile and headed over to the elder's den with it in his jaws. Pumpkinsquirrel padded out of the den she shared with Firestorm, dragging the body of Swanclaw in her jaws. She made her way to the center of the clan camp, arranging the deputy so the clan could grieve. 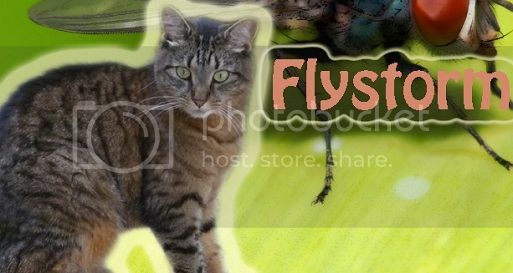 Flystorm padded over and pressed his nose into Swanclaw's fur. Deadstar pressed his nose into Swanclaw's fur, then tossed his head back in a yowl. "Cats of DarkClan. Listen, And I will appoint the new deputy. I say these words before StarClan so our ancestors may hear my approve and choice...Squirrelflower will be the deputy of DarkClan!" "Thank you, Deadstar." meowed Squirrelflower, trying to hide the shock in her voice. "Squirrelflower, Squirrelflower, Squirrelflower!" cheered Viperfur for the clan's new deputy. Pumpkinsquirrel padded into the DarkClan camp, carrying cobwebs in her jaws. She made her way into the den she shared with Firestorm, placing the cobwebs into the storage. "I, Deadstar, Leader of DarkClan, call upon my warrior ancestors to look down on these apprentices. They have trained hard to understand the ways of your noble code, and I commend them to you as warriors in their turn. Brightpaw, Spiderpaw, do you promise to uphold the warrior code and protect and defend this Clan, even at the cost of your life?" "Then by StarClan, I give you both your warrior names." continued Deadstar. "Brightpaw, you will be known as Brightflight. Spiderpaw, you will be known as Spiderlion. StarClan honors you both and we welcome you both as full warriors of DarkClan." Brightflight purred to herself, listening to the clan call out their new names. Spiderlion puffed out his chest in pride as the clan called out their new names. "Brightflight, Spiderlion! Brightflight, Spiderlion!" cheered Ravencloud for the clan's newest warriors. Pumpkinsquirrel padded into the DarkClan camp, carrying marigold in her jaws. She made her way into the den she shared with Firestorm, placing the marigold into the storage. Littleflight padded past her clanmates and into the nursery, squeezing inside carefully. Once inside, she dipped her head to the other queens and settled down into an empty nest. Pumpkinsquirrel padded out of her den, dragging the body of Squirrelflower in her jaws. She made her way to the center of the clan camp, arranging the deputy's body so the clan could grieve. Milkcloud padded over and pressed her nose into Squirrelflower's fur. Deadstar pressed his muzzle into Squirrelflower's fur, then tossed his head back in a yowl. "Cats of DarkClan. Listen, And I will appoint the new deputy. 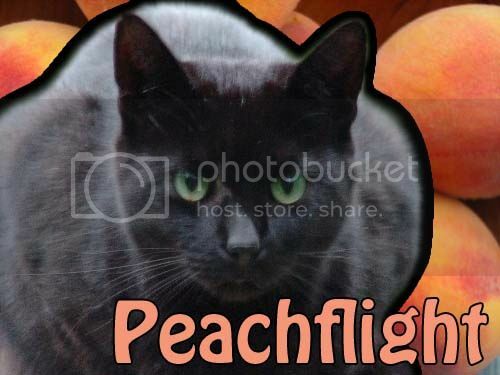 I say these words before StarClan so our ancestors may hear my approve and choice...Peachflight will be the deputy of DarkClan!" "Thank you, Deadstar." meowed Peachflight with a dip of her head.